Giambattista Bodoni is known for creating one of the first “modern serif” typefaces. Advances in printing technology during the late eighteenth century allowed Bodoni to design letterforms with higher contrast between thick and thin strokes, and crisp horizontal serifs. The result is a typeface that’s recognizably elegant, refined, and remains popular centuries after its creation. Despite the tremendous popularity of Bodoni typefaces, there is currently no digital family without compromises. Bodoni interpretations either work at display sizes and are impossible to read at text sizes, or are made to be legible at text sizes but look sloppy at display sizes. Users end up having to mix and match Bodonis, resulting in inconsistencies of design and quality. Bodoni* is the first ever no-compromises Bodoni family, built for the digital age. 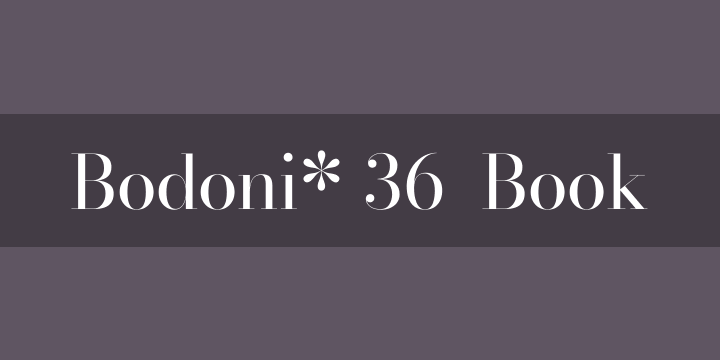 Years in the making, this font family includes a whopping 56 font files, ensuring you will have the perfect Bodoni for every situation.